Are Your Solution for where to put your weapon & ammo, gloves, thermos, binoculars, range finder, calls when you are hunting in your deer stand. 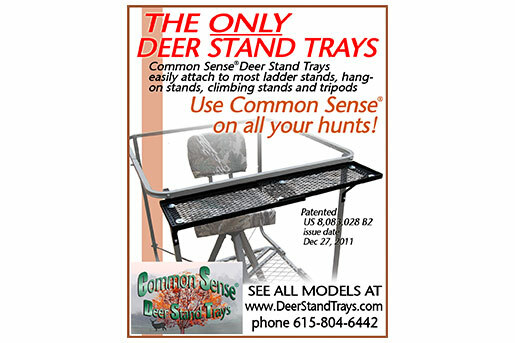 Common Sense® Deer Stand Trays easily attach to most ladder stands, two man ladder stands, tripod stands, hang-on stands, climbing stands and custom built stands. 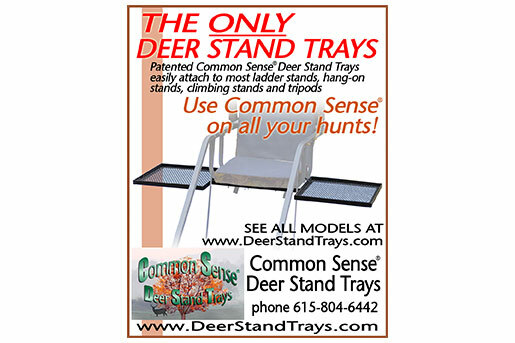 They are the original, patented deer stand trays. Also available the optional “Holds All” Hunting Call Holders, Weapon and Camera Mount. 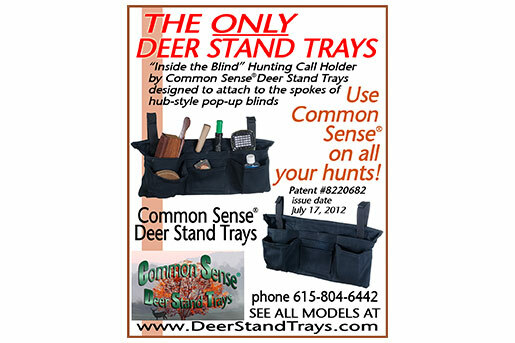 Once you have hunted from a stand with our trays attached, you'll want the same affordable convenience on every stand you use! The shelf features room for a wide assortment of accessories at your fingertips: range finder, binoculars, multiple calls, rattling rack, walkie talkie, snack/drink, thermos, etc. 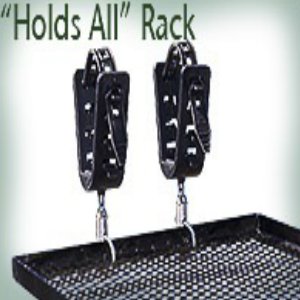 The tray is also designed to allow the easy attachment of gun/bow mounts such as the “Holds All” Rack. 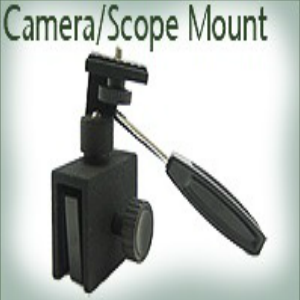 And we have a camera/spotting scope mount too, for a stable platform to film your hunts. 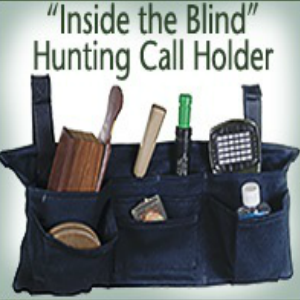 Use “Inside the Blind” Hunting Call Holder to keep your gear handy and off the ground-- holds your box calls, locator calls, slate calls & strikers, insect repellent, drink bottle, etc. 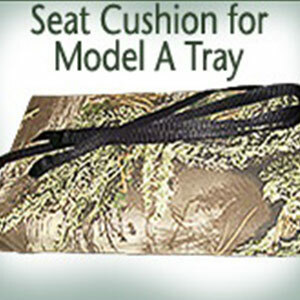 Also, check out our Seat Cushion for “hang on” style stands that goes with our Model A Tray. 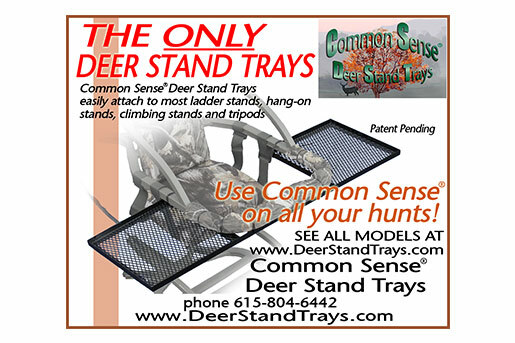 © 2018, Common Sense Deer Stand Trays. All Rights Reserved.